Products on this site are organized into major categories (i.e. :Windsurf, Kitesurf, SUP, Sail Boat, & Accessories) and within each major category, there are sub categories that hold similar items. Under Used Equipment, the categories follow the same structure as new equipment. Please use the search box to aid in finding items. The advanced search options are available if you wish to further refine your search. If you are still having trouble finding what you are looking for, please contact us. When you first enter the online shop, you are assigned a virtual shopping cart that holds items for purchase. Whenever you see an item that you want to purchase, you can click the Buy Now button. You are then shown the contents of your Shopping Cart where you can verify the item is correct and adjust any quantities, or delete the item from your cart. If you adjust the quantity, hit the refresh icon to update the page. To Delete the item, click the trash can icon at the end of the line and the page refreshes automatically. At any time, you can view or change the contents of your cart by clicking on the Shopping Cart link on the right of the page below the navigation menu. From the Shopping Cart, you can return to shipping or proceed to checkout. Generally, we use USPS Priority mail for all orders with the USA. We offer 2nd Day and Ground services with UPS and FedEx upon request for additional cost. For International Orders we use regular USPS Air Mail. You are responsible for any import duty on your order. Shipping costs for large items vary due to carrier & service. Wind Power has many years experience shipping large items. For orders that contain large items, shipping will be shown as zero and the final shipping rate will be determined after order has been placed. 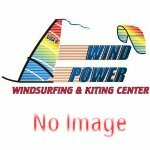 Wind Power Windsurfing & Kiting Center will contact you after placing the order to provide shipping options, costs and delivery timing. You may also pick up your items at the Wind Power Shop. If you are attending any of the Events that Team Wind Power attends, Wind Power may be able to bring your items and meet you at the Event. Please coordinate any in-store pickup or event meet with Wind Power in advance. If you need a return/exchange, contact Wind Power immediately. You can return your item for a full refund for up to 30 days after purchase date. ALL RETURNS MUST BE COORDINATED WITH WIND POWER. Please include a copy of your receipt and any important notes regarding the return. In most situations a re-shipping fee is required. Wind Power will cover re-shipping if an error was made filling the order and the product you received was not what you ordered. Please read the Shipping Questions below. Generally, you should have your order in about 5 to 7 days. Order processing and filling for in-stock items begins immediately after order placement and USPS priority mail takes 3-5 days for shipping. International orders will take more time. Large items are primarily dependent on shipping carrier & method. For those items, Wind Power will be coordinating shipping with you and the carrier. Please contact Wind Power via e-mail or by phone at 920-922-2550. It is very important for you to review your order when it is placed, so we can get you exactly what you want. If Wind Power filled the order improperly, we will pay for return shipping and send you the correct item at no charge after we recieve your return. The item I received does not fit, perform properly, or I am just not satisfied with it, what should I do? Wind Power's mission is your satisfaction. Please see the Exchanges section above. Then contact Wind Power so we can figure the best way to resolve. Yes, after you have created an account and placed an order, you can view the Status of order(s) by clicking the My Account link on the right side of the page under the navigation menu. You should also receive e-mail updates when the status of an order changes (processing, shipping, etc.). Please contact Wind Power Windsurfing & Kiting Center via e-mail or call the shop at 920-922-2550. You can e-mail anytime, but please only call the shop between 9:00 AM and 7:00 PM CDT (central daylight time). We can expedite an order and use a next-day option, but you are responsible for the shipping costs. Please make sure before you finalize your order in the checkout process (clicking the Confirm Order button) that you check the items, sizes, etc. for your entire order! This is very important and a simple double-check can avoid headaches for everyone. In the case where you find an error in your order confirmation, please check the order online by logging into your account. If the order is not correct, please contact Wind Power immediately via e-mail or call the shop at 920-922-2550 (9am to 7pm CDT please).